I've been wanting to do a matx custom watercooled build for a while now... there were definitely some scenarios which were more difficult than in my previous custom waterloop build in the atx phanteks evolv. The goals of this build though were... matx, watercooling, with a synthwave theme. The build currently has a ryzen 5 2600, this is a placeholder chip until zen 2 drops. When that happens I'll be replacing the 2600 with the 2700x successor. Overall I'm happy with how the build turned out. I love the way the coolant/lights came together, and I wanted to use a lot of 90 degree fittings for a nice clean look. I've done custom loops in the past and used bends, but it was simply an aesthetic choice to try and use fittings for all the 90 degree bends. I wasn't able to do this 100% and had to make a few compromises, but for the most part I achieved the look I wanted. Theres a couple pipes I may change when I swap chips, mainly the one connecting my flow meter to the radiator, but for now I'm content. I dig it...the purple/white color scheme is slick! The blue and pink looks surprisingly good. Nice build. Like it! Can someone tell me what type of keyboard this is? The desk setup is phenomenal. What monitors? The left is just a standard asus 1080p 27 inch for web browsing. My gaming monitor is the alienware aw3418dw... thing is a beast. Is that primochill pink? Been wanting to use it. I love this so much! The lighting on this is exactly what I've had in mind, but I wasn't considering liquid cooling until I saw this. I'm a changed man now. Holy crap this thing looks noice! i got mine from newegg... at the time i wanted the titanium version but it was sold out everywhere. Seems they discontinued the board. Is the pump in the PSU shroud? Also is that why you have that pass through or is that a drain port? So compact, beautifully proportional and those tubes couldn't have been done any better. +1 and then some! Ty sir. In all seriousness... it racked the bill up lol. But I have no regrets. I have two bends that I had to do because things just weren't lining up... but luckily they're both tucked away a bit. When I drop the 2700x successor in I plan on fixing those so the whole thing is 90s. I'm synth music & art fan myself and this definitely says synth to me. The purple and pink glow with the white color is a great idea. Well done! thanks man. Honestly I was surprised at how much I liked the teal/blue lighting complimenting the coolant at the end. That was the plan all along... but it still surprised me how much I liked the look. Im actually going to be releasing a build log here in the near future of this... just taking my buddy a bit to do the editing. We're new to the whole youtube and video editing scene. Absolutely beautiful! The loop looks amazing and the I really like the purple and white aesthetic. Nice build. Just asking, why don’t you use a “x” model motherboard? Congrats on the feature! Well deserved! The color scheme makes me think of cotton candy lol. Congrats on the feature! i also like the color scheme. also, what coolant? How'd you get 2 separate wallpapers on both monitors ? I can only get one to go on both and I don't like it. Other than that +1 for the build I absolutely love it. I'm gonna "steal" the whole use fittings for my bends because I've never had a custom loop and can't afford to go through tubes like my siblings go through diapers. I can't answer your question, but I was reading the remainder of your comment. Did you notice how much he spent on fittings? For $400 you could easily buy 100+ pieces of tubing, a heat gun, & a kit with tube bending tools. Going all fittings is usually the pricier way of doing things. **** honestly man thats how mine have always defaulted from a fresh install with windows lol. As far as I know you just gotta have more than one image in your folder for your desktop backgrounds. Also just to mention.... bending tube was way easier than I expected it to be(at least with petg), so don't totally rule it out. Also it cost me WAY more by going this route than if I would have just done bends. I paid about $8 per 90 degree double fitting... and that's even getting them from China. Getting an extra few feet of petg will only run ya $20-30. Plus the general rule is more fittings=more potential points of failure. So don't let me discourage you... obviously I like this method. Just explore your options and see whats best for you. This build is soooooo clean! Looks awesome!!! I am always amazed by the ITX and M-ATX custom loop builds! honestly man.. my hats off to the guys that do ITX loops. This had me frustrated at many different points... I couldn't imagine ITX. I hear you. I did a custom loop in my H200i. Nearly pulled my hair out. But yeah... it's about the journey. You know you are going to run into trouble at some point. There's just something about undertaking the journey even though you know that it isn't that great of an idea. Lol. It was real real fun day 1... then all the problems that you can't anticipate start to arise lol. I learned with my last build though.... If I have an idea in mind I need to just take the time to make it happen. Because my first build I cut some corners on fittings and things.... and it resulted in me just rebuilding the entire thing a month later because I wasn't happy. This time I ordered some extra things and just took my time... Was much happier with the end result. This is amazing. I love the color combo. nicely done! Beautiful build! Just wondering, why go for a full custom loop for a 2600? the 2600 is just a placeholder until the 3700x drops. I was able to get it real cheap on black friday. edit: also I opted for ryzen because I didn't want to put a 9900k in a loop with only 400mm of rad space. Sweet mother of mercy.... It looks like you raised a bar for all, future, custom water-cooled systems. Yeah my intention for my next watercooled build was exactly this. Thing is.... this build happened way sooner than I planned on lol. Black friday deals got the best of me, and I just couldn't pass the ssd for $95. We have the same desktop background in our builds. That's pretty neat. I love the colors. what keycaps are on your keyboard and what chair is that? +1 for the Nirvana CD lol Great build! Clean and simplistic and a pop of colour! Love it! Do you mean the successor to the 2700x or the 2700x when zen 2 drops? successor. So the 3700x I'm assuming. Wow, unbelievably nice looking pc right there. which monitors do you use? Beautiful photos, were the pictures taken with a camera or cell phone? If a camera what is it? This is a good build, yes, and its not the most overkill I've seen featured. But (not this one), most builds that get featured are completely overkill (except workstation ones) and always seems to have custom cooling rather than having an AIO or air cooler. 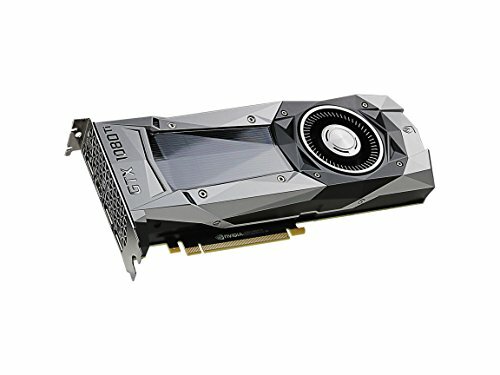 Seriously do you NEED custom cooling for gaming/browsing? I know you get a feeling of pride when you finish building your PC and even more with custom cooling, but give us normies a chance for feature. Someone who built their PC, with hard work and dedication, and would like to be featured, gets pretty much a 0% chance because only people with a custom loop will ever get noticed/featured. 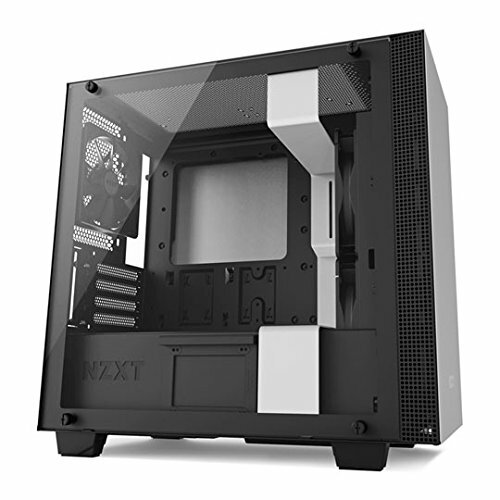 That bracket in the middle of the case looks to have been a hassle to work around with the front rad. Not a criticism, just not an ideal case for a custom loop. I love that horizontal mount reservoir though. That's great use of the space. I might look at doing that if my next case has a power supply cover. Good feature. Congratulations. I hear ya... If I could change anything about this case it would be that bracket. And the reservoir fitting in that space was one of my biggest concerns with this build, was relieved it just barely fit. Beautiful build. Love the colours. It wasn't too bad. There were a few occasions that I got pretty frustrated and had to walk away for a bit... but that has happened with every custom loop I've done. I have no interest in doing something such as an itx build though... I can only imagine the frustration lol. I wonder how that fluid will hold up. Yeah wondering this myself. Ill be swapping the chip out when zen 2 drops so ill have to drain the loop and we'll see. I absolutely adore this. It is so cute !!!! I'm so impressed! This looks great, I honestly do not know why the colors in this build look so nice to me. The colors are perfectly mixed and the cable management is nearing perfection. 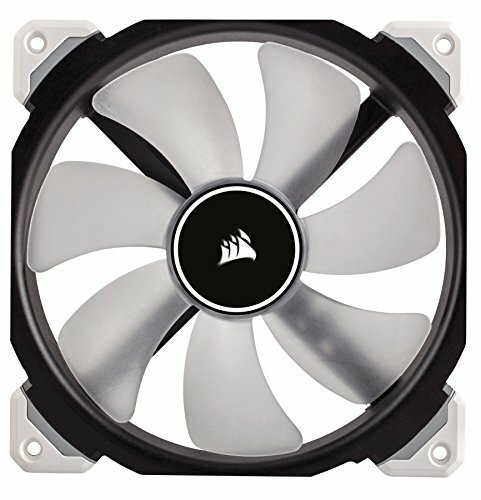 How were you able to run the Corsair Vengeance RGB Pro at 3200MHz? It seems like every time I try to set the XMP profile for my B450M Mortar Titanium, the computer gets stuck in a boot loop and reverts back to 2133. Looks great! Check out my Water-cooled build as well! NZXT Fam!! Saw your neon green custom loop rebuild too. Looks really good. In my experience, just keep the gain as low as possible to effectively pick you up. I have the yeti nano which has software controlled gain, and I keep it at 30/100. My gf's normal yeti she turns the knob probably to only about 10%. Aside from that run it on cardioid setting for most streaming/podcasting scenarios. If you use OBS... what I've found.... my nano is usually a bit low. This is due to keeping the gain low... issue is, gain low= less background noise, but obviously then your levels are not as loud. So I keep my gain at 30 and then go into the advanced audio properties in OBS, and I crank the levels to 200%. For me this gives perfect audio levels and the microphone doesn't pick up everything in the room. Idk if a standard yeti has separate gain/volume levels, but my nano only has gain so it was a little bit tricky. Play around with it though... I initially didn't like the standard yeti, but once you tweak it they can produce excellent quality audio.